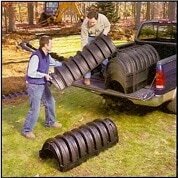 Quick 4 chambers can be delivered to the site in a pick-up truck and hand carried into position. For most jobs, two people can install a system in less than half the time it takes for a comparable stone and pipe leachfield. WHY CHOOSE A CHAMBER SYSTEM? 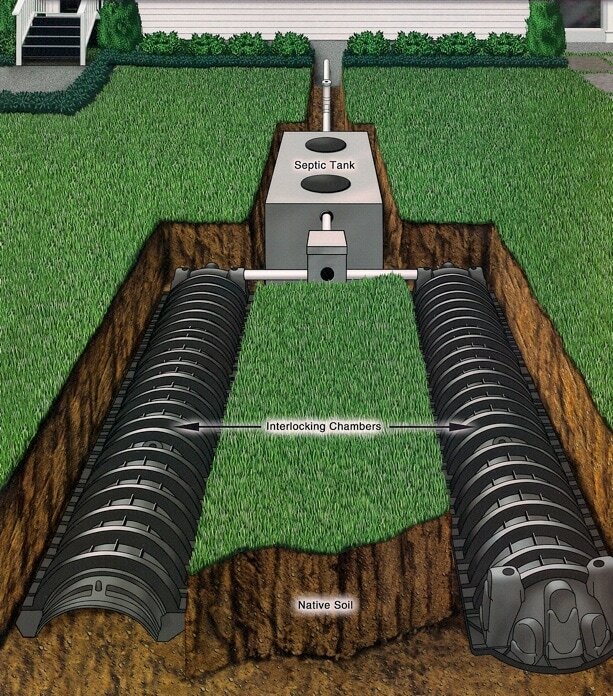 Compared with stone and pipe leachfields, infiltrator chambers deliver a higher level of performance on every front - from ease of installation and system reliability to homeowner satisfaction. 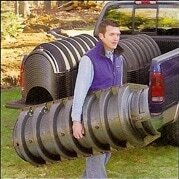 Together, the advantages of infiltrator chambers add up to cost savings on labor and materials and time savings on the job. 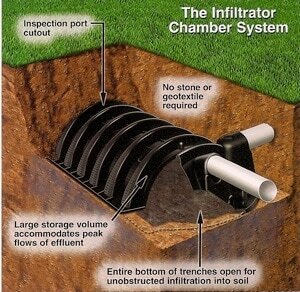 For new, replacement, residential or commercial systems, count on infiltrator chambers to provide the superior solution. 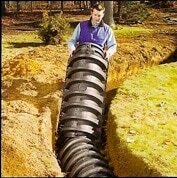 An 8-foot length of Infiltrator chamber trench has more effective infiltrative area than a 16-foot length of stone and pipe trench. 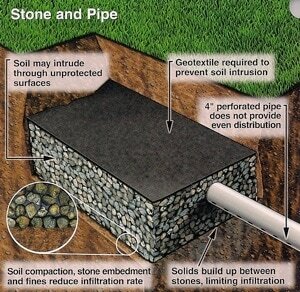 In the stone and pipe systems, the effective infiltrative area is reduced due to the presence of stone. 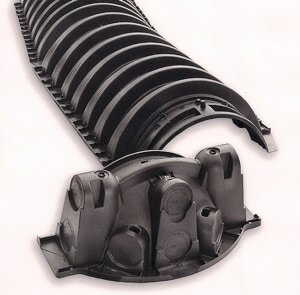 With Infiltrator chamber systems, the entire area at the bottom of the trench is unobstructed by stone, which means total infiltrative effectiveness.